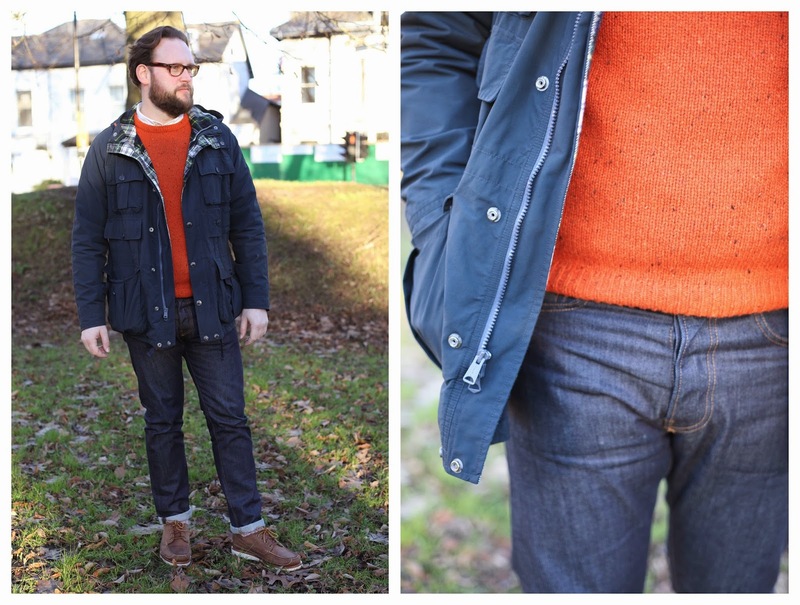 This weeks Street Style Sunday is all about what John has been wearing of late and some things he picked up over the Christmas period. 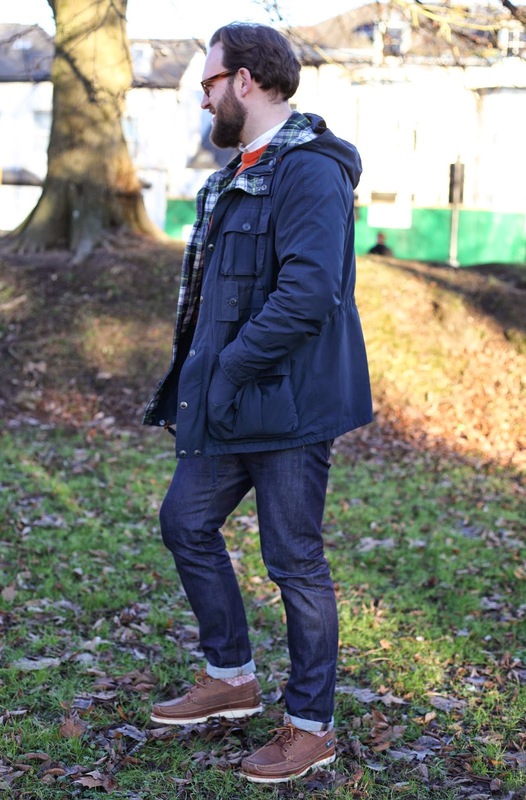 One of his bigger purchases was a pair of Eastland Oxford shoes and Universal works socks which pair up really well with these tapered Edwin jeans from Woodhouse Clothing. John has a few pairs of Edwin jeans, it's one of his go to Denim brands as the fit, taper and quality never fail and Woodhouse has a great selection as well as a few other top menswear brands including Barbour, Nudie jeans, Penfield and Woolrich to name a few. There are a few things with investing in and one of those is a good pair of jeans. John has a few pairs he has had for years and actually look better with age and I think that is down to the denim being very good quality and hey jeans never go out of style. As always I have joined up with the lovely Natalie from Style Me Sunday to bring you Street Style Sunday linkup - do come and join in with anything fashion related, wether is be an inspirational mood board post of what you and your family are wearing, anything fashion related is welcome. 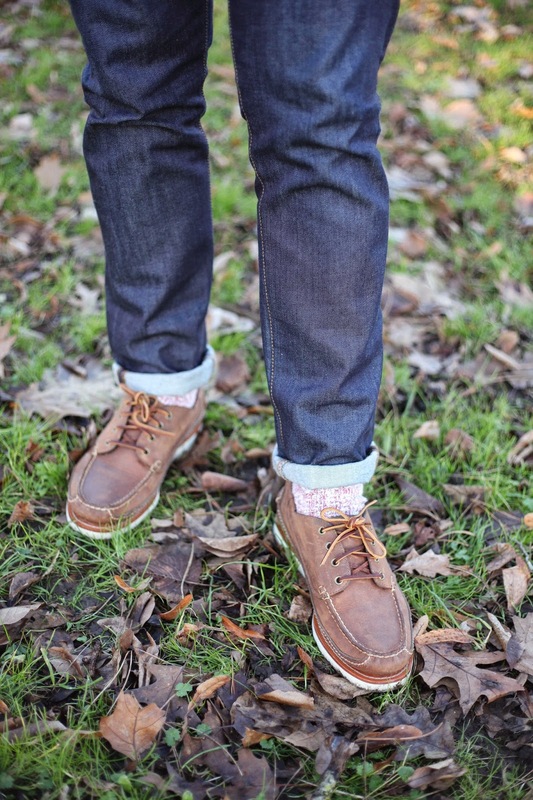 Oxford shoes look so great on guys, lovely post girl!